The legume family contains approximately 18,000 species. For the average person, legumes are peanuts, beans and soy beans, lentils and peas. As food, legumes provide important nutrients. As an agricultural crop, legumes may be used not only for their commercial value as food, but also as a green manure crop. Legumes, and more specifically beans, have been cultivated for food for centuries. As one of the first domesticated food plants, legumes proved adaptable to a variety of soil types, and varieties of the species are found virtually on all inhabited continents. Archaeologists have found evidence that planting legumes as a means of improving soil was an agricultural practice in the ancient civilizations of Greece and Egypt. In Roman times, legumes were an important part of the practice of crop rotation. Legumes draw nitrogen from the surrounding air and fix it to the soil, supplying the soil with this essential nutrient. This nitrogen fixing aids in the health of the soil, particularly for subsequent crops such as broccoli and cabbage, both heavy nitrogen feeders. Legumes also benefit humans. High in protein and low in fats, legumes are important to vegetarian and vegan diets as a source of protein. Legumes are high in fiber and plant sterols, both important elements in a heart-healthy diet. Legumes are characterized by the split shell, such as those easily recognized in beans and peanuts. The shells or pods contain the seed of the plant. 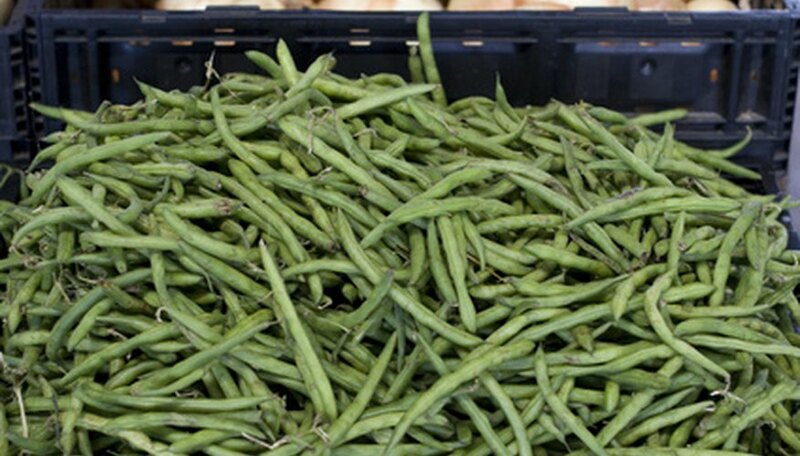 In the case of such foods as green beans, the pod is edible. Many legume seeds are small with a hard outer skin and require extensive cooking, as with kidney beans or garbanzo beans. Garbanzo beans may be ground into flour and used as a gluten-free alternative to wheat flour. Legumes may be grown as a green manure crop in large-scale agriculture. Green manure is the term applied to a crop turned into the soil after flowering but before the plant sets its seed. In the case of legumes, the high nitrogen content of the foliage revitalizes soil that has been depleted by previous crops. In home gardening, legumes benefit other crops with its nitrogen-fixing ability. Planted with squash and corn, a trinity known in Native American agriculture as The Three Sisters, the legumes, usually beans, fix the nitrogen for the corn and squash. Both corn and squash require high concentrations of nitrogen for growth. The corn stalks provide support for the beans and the squash provides cover to keep the soil moist and the weeds at bay. Where Can I Buy Genetically Modified Seeds?